Unfortunately, liberalism has so infected our culture that disregard for our police officers is now widespread. Those who most deserve our respect — the men and women who put themselves in harm’s way to keep us safe — are constantly hindered from doing their job properly. Michael Thomison, who has served as Town Marshall for the last four years, is leading the resignation of himself and four volunteer reserve officers. Thomison and his team had been considering resignation for months after being subject to ongoing harassment and intimidation from the local politicians. One of the main charges against the Bunker Hill Town Council is that they wanted to use the police to collect information on their political rivals. The police officers refused to take part in unethical abuses of their resources. The resignation letter presented by the former officers states that members of the town council continuously requested background checks on fellow councilors. They wanted to uncover their criminal history. Thomison states that when he and his team did not comply with the illegal orders, they were threatened. The local police found themselves in a situation of choosing between morality and their livelihood. The resigned officers also resigned because the town failed to provide them with the funding and equipment necessary to face the dangers of their job. There was not enough quality body armor to go around, putting the policemen’s lives at risk when out on the streets. For Thomison, there were also personal reasons relating to his resignation. He took time off after being diagnosed with cancer. But after he was prepared to return to work, the city would only give him part-time work. The city was playing with an officer’s career as an intimidation game to cajole him into getting in line with their demands. Bunker Hill residents are feeling the loss of their police force. The police provide an invaluable service. Local families no longer feel safe without them. For the moment, the town is receiving protection from the county sheriff’s office while they work on hiring a new group of police. However, many officers who have been contacted are familiar with the situation and have refused the job. As expected, the town council denies that it’s been involved in any wrongdoing. They assert that the differences between them and the police department had nothing to do with illegal requests or with lack of body armor. (via Fox 59). It’s frustrating that when money is wasted on causes that shouldn’t be receiving public funding–like illegal aliens and refugees — there’s seemingly nothing left over for the folks who go so far as giving their lives to protect American families. Just as angering is the thought that corrupt politicians see police as nothing more than pawns to use for their immoral plans — rather than the heroes they really are. Do you believe our police officers should be well-funded and respected? Share this story on Facebook and let us know because we want to hear your voice! President Donald Trump’s First NATO summit was full of awkward moments. Over the last several weeks, the Seth Rich murder case has been heating up. More people have been demanding answers over Rich’s mysterious murder. You see, people don’t buy the “official” story that the mainstream media has been pushing and rightfully so. The official story of Rich’s death never really passed the sniff test in my opinion, and here is why. Rich’s body was found in a secluded area in what the police say was a robbery gone wrong. Well, I guess I would buy that story if Rich’s wallet, money, and credit cards were taken, but they weren’t. Also, there have been witnesses that have stepped forward to say that Rich was in communication with WikiLeaks. So, it should come as no surprise that people are questioning. You see, the American people have been lied to for so long by the media and the elites in Washington that we know there is more to the story. Which is why when we hear that someone else died who is connected to Hillary Clinton our antennas perk up. Which is why there are still major questions being asked about former United Nations (U.N.) official John Ashe. A bombshell report shows that Ashe, who was found dead last week, supposedly due to a heart attack, is having the reason for death brought into question. Ashe was scheduled to testify in court today, along with Ng Lap Seng – a Chinese businessman and co-defendant – who received more than $1 billion during his term as president of the U.N. in donations. Sing also found ways to illegally funnel money to Democrats during President Bill Clinton’s term in office. I mean the mob has nothing on Hillary Clinton and her death count, right? Of course, that sounds suspicious to me and I am sure to you as well. First, it was said that Ashe suffered a heart attack, but then, later on, it was said his throat was crushed from a “workplace accident”. Now, on the surface, it could be brushed aside as coincidence, but considering that Ashe was scheduled to testify in court it just doesn’t sit right. The real question is what did Ashe know that could harm the Clinton mafia machine. There is plenty of reason to believe that Hillary Clinton had something to do with this death as well. These people are ruthless and will stop at nothing to keep their dirty secrets hidden from the American people. So, it makes sense after knowing about the deaths of Vince Foster, Seth Rich, and John Ashe why Sean Hannity would back away from researching Rich’s death. Who knows what was said to Seth Rich’s family or Sean Hannity to get them to be silent. I do believe that the Clinton’s are aware that time is running out for them. After all these years of being able to literally get away with murder, their crime spree is in jeopardy. I can only hope that a special prosecutor will be appointed to investigate Clinton and her nasty crimes. These victims families deserve to justice for their loved one’s deaths and it is about time we give it to them. 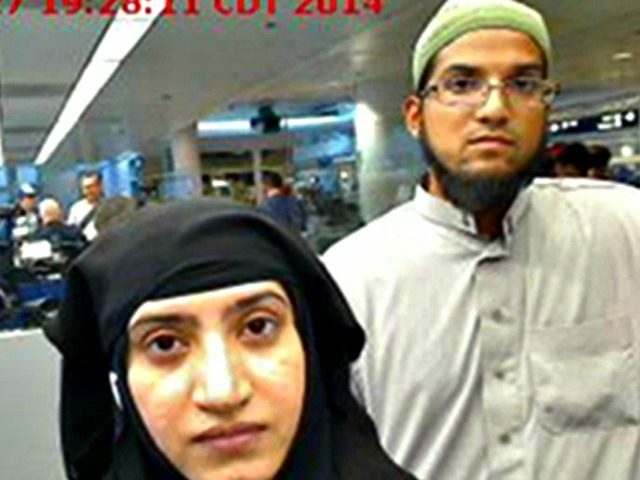 BREAKING: 10 Federal Judges DEMAND Americans Surrender to Islam, What’s Your Response? The Fourth Circuit Court of Appeals invented a new legal standard granting Muslims unlimited power over national security in their decision to maintain the injunction against President Trump’s travel ban executive order (via Breitbart). Do you think we should move to impeach these activist judges? Please share the story on Facebook and tell us what you think because we want to hear YOUR voice!